The KUŞRAD system is a bird-aircraft collision avoidance radar system, designed to operate uninterruptedly 24/7 on an airport. The system will be used to track migratory bird movements in critical airspaces around civilian airports to evaluate their treat to safety, and can help in the planning of scheduled flights to reduce accident risk. 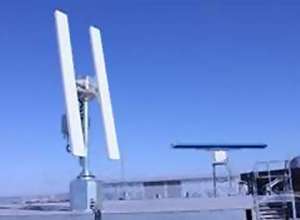 The system consists of two independent primary radars: a pulsed and rotating air surveillance radar operating in S-Band, and an FMCW- radar operating in X-Band as a height finder. Both radars can rotate synchronously, or the height finder can opearate in a sector search mode. The common radar data processor detect and tracks targets and classify them as “Bird”, “Flock of birds” or “Aircraft”. The KUŞRAD system will be installed at the new (third) airport in Istanbul.